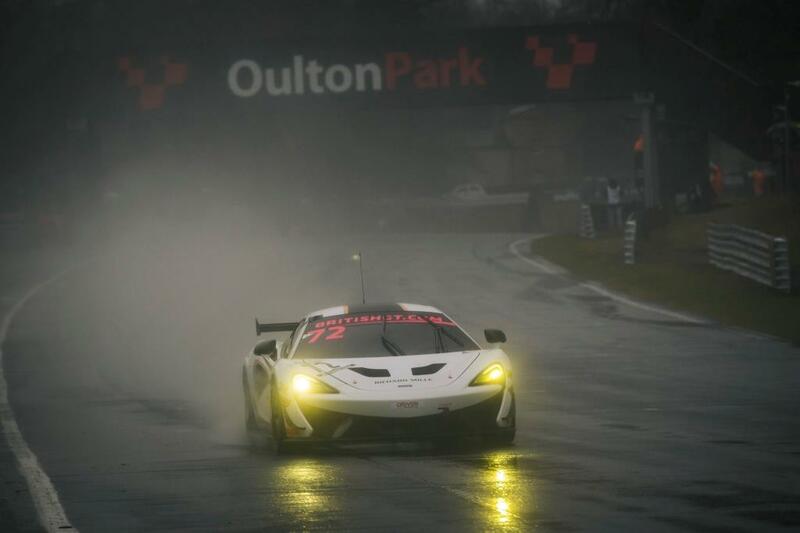 Twenty-one year-old McLaren Automotive Factory Driver Ben Barnicoat got off to a perfect start in the opening British GT Championship weekend at Oulton Park, winning the first race of the season in the 570S GT4 of customer team track-club, in turn scoring the track-only Sports Series model its first victory of 2018 in global competition. Barnicoat drove perfectly in the treacherous conditions on Bank Holiday Monday morning, as heavy rain prior to the race made it a particularly intense affair for the drivers, negotiating the tight, twisty Cheshire circuit. Adam Balon, Barnicoat’s teammate in the track-club 570S GT4, started the 60-minute race P10 in the hotly-contested GT4 division. In the early stages of the race, Balon was immediately on the attack, showcasing the capabilities of the 570S GT4 in changeable conditions, moving up to P7 before the pit window opened at the halfway mark. The team opted to pit early, allowing Barnicoat to maximise his time in the car, in the unpredictable conditions. After the pit cycle had shaken out, Barnicoat had secured the lead of the GT4 class, and then managed the gap over the chasing pack for the remainder of his stint. The result sees track-club take an early lead in the points standings from a competitive grid of 22 entries. Adding to the successes of the opening race of the season for McLaren, following post-race scrutineering a penalty for a pit-lane infringement was handed to the second-place team, making it a McLaren 1-2. Finishing P2 was the #4 Tolman Motorsport McLaren 570S GT4 driven by Charlie Fagg and Michael O’Brien of the McLaren Automotive Driver Development Programme. The pair had enjoyed strong qualifying, which saw them start their debut British GT race on the front row before securing a hard-earned podium. 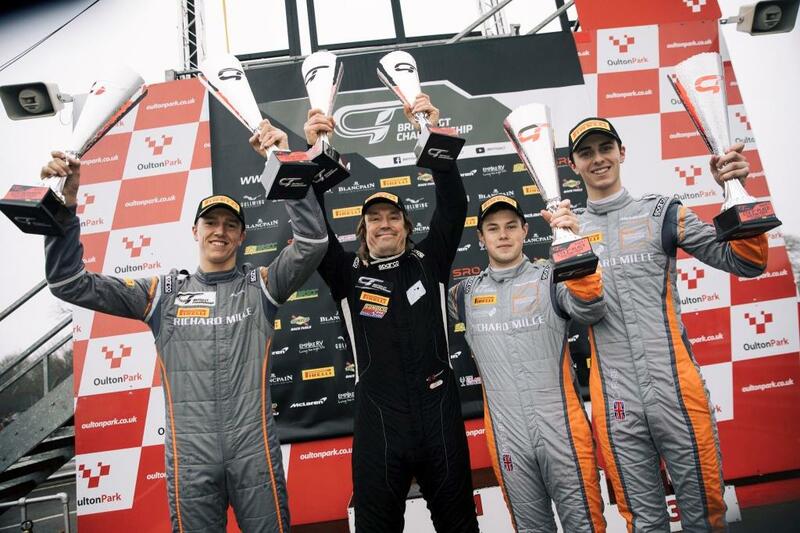 Three further McLarens rounded out the top six in a successful weekend for the 570S GT4, with the #501 Balfe Motorsport example crossing the line P4, ahead of the Tolman Motorsport duo as the #56 of McLaren Factory Driver Joe Osborne and David Pattison finished P5 ahead of the #5 car driven by the McLaren Driver Development Programme duo of Jordan Albert and Lewis Proctor. McLaren customer team Equipe Verschuur took pole for both races with their 570S GT4, only to lose them due to a procedural technicality, however, they recovered from the back to score points in Race 1. Unfortunately, heavy rain forced the organisers to abandon the weekend-closing race. The next round of the 2018 British GT Championship is set to take place at Rockingham Motor Speedway at the end of the month, from April 28-29. “This weekend’s British GT Championship opener at Oulton Park was an incredibly important one not only for our customer teams, but for McLaren as a brand. Winning in the UK’s most prestigious GT championship in the first race of the season, showcased the 570S GT4’s capabilities up against one of the most diverse GT4 grids in the world.